– What is your mite load? This is a great time for you to consider doing a mite wash or a sticky bottom board. Your mites are running around and not in hidden so well in the capped brood cells as your brood nest is still small. This is a great time to do some IPM of sugar dusting and bottom board cleaning. – How is your queen looking? Have a look at the brood nest and see how she is laying? Is it a good pattern? Are the larva wet with royal jelly? Do you see any signs of Chalk (stressed bees) or drones? you shouldnt have any drone cells in your hive yet as it isnt the season yet. So, think about that and consider if you should re-queen this spring. 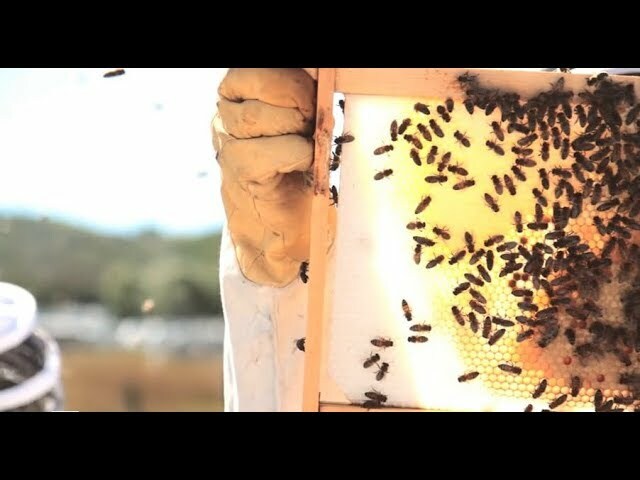 – How are your bees looking? Are your bees strong, weak, wings looking good? Are there enough numbers to produce healthy development of brood? – Is there pollen coming in? This means that you can expect your brood nest to expand in a healthy growth. If there isnt pollen coming in, be patient, it will come! Pollen triggers the queen to lay more aggressively since our summers are so short. These are all important questions to ask while inspecting, cleaning out the bottom board, and feeding if you are feeding. This is because if you dont know, you may be blindsided by problems in the future when the spring nectar flow comes on (dandelions expected in Calgary by May 18th says I) and you dont want that! You want to be PREPARED! LOL, which you can only be 50% of the time with bees! hahahaa. I hope this is a little bit of help for you guys!